Newcastle Law School has up to two PhD studentships available for the 2013/14 academic year. Applications are invited from applicants with an interest in pursuing a PhD in any area of Law in which the School is able to offer supervision. However, for one of the scholarships preference will be given to candidates intending to undertake a PhD in a topic of their choosing in the field of property law (broadly interpreted). For the second scholarship applications are invited from students with interests in any area of law. Applicants are expected to have at a minimum either a very good 2.1 or 1st Class Undergraduate Degree in Law. Applications will be considered on their merits, including further education at Masters level, a publication record, professional qualifications or relevant work experience. The studentship will provide tuition fees for three years (full time) at the UK/EU home rate (by tuition fee waiver) and will provide a maintenance stipend at current UK Research Council rates (currently £13726). The successful candidates must take up their scholarship by 23 September 2013. It will be a condition of the award of the scholarship that successful candidates undertake some undergraduate seminar teaching within the Law School, to a maximum not normally exceeding an average of 6 hours per week during semester 1 and 2 of the academic year. If awarded, each scholarship will offer funding for a maximum of 3 years study. (1) Make a formal application for the PhD programme at Newcastle University. Applicants must apply for a place through the University application procedure available here. On the online postgraduate application form, insert the reference number LAW Scholarships 1 and select 'PhD' as the programme of study. Complete all fields. A covering letter, CV, a full research proposal and (if English is not your first language) a copy of your English language qualifications must be attached. The English language requirement is IELTS 7 with at least 6.5 in the written component. The covering letter must state the title of the studentship, quote the reference number LAW Scholarships 1 and explain why you would be a suitable candidate for this studentship. (2) In addition to completing the online application, applicants must also send a covering letter, CV and research proposal, preferably by email, to Dr Maria-Teresa Gil-Bazo (maria-teresa.gil-bazo@ncl.ac.uk), PGR Selector, Newcastle Law School, Newcastle University, 21-24 Windsor Terrace, Newcastle upon Tyne, NE1 7RU. The deadline for applications is 15 July 2013. Candidates will be interviewed and awards made before the end of July 2013. 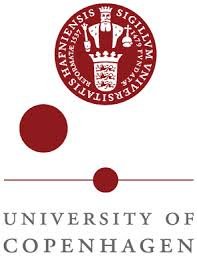 The Faculty of Law at the University of Copenhagen, is seeking applications for a position as a Professor of International Law with a focus on international courts. The position is to be filled as soon as possible. The professor will be affiliated with iCourts - Danish National Research Foundation´s Centre of Excellence for International Courts, which is a research centre at the Faculty of Law. The Faculty of Law is one of six faculties at the University of Copenhagen. The Faculty carries out research, education and knowledge dissemination within the area of law. The research is partly organised in research centres and groups. The Faculty employs about 75 full time researchers and app. 50 PhD scholars as well as app. 70 administrative staff members. There are app. 450 part time instructors contributing to the teaching of app. 4.500 law students. The Irish Centre for Human Rights will host its inaugural Summer School on Human Rights, Migration and Globalization from 8 to 12 July 2013. The inaugural year’s subtopic is Defining and Promoting Human Rights of Migrants in an Era of Globalization. The five days of intensive sessions will be led by leading specialists including Professor Francois Crépeau, the UN Special Rapporteur on the Human Rights of Migrants. The Summer School will familiarise participants with the sources of migrants’ rights and the available protection mechanisms. It will also provide participants with an understanding of the major tensions underlying the issue of the protection of migrants’ rights and of how globalization shapes these tensions. The programme will include social activities that will allow participants to network with each other and the panel in a relaxed environment. The Summer School is open to anyone interested in the contemporary challenges of migration and human rights protection. Participants will have an opportunity to propose their research ideas for discussion. The provisional programme is now available! Amnesty International works towards an effective system of international justice to ensure that when genocide, crimes against humanity, war crimes, torture, extrajudicial executions and enforced disappearances are committed, victims have access to justice, truth and reparations without discrimination as to gender, sexual orientation and identity and other status. These crimes must be investigated and prosecuted, the truth must be told so that victims know the causes of the violations, and victims must be provided with full and effective reparations to address their suffering and help them rebuild their lives. Justice, truth and reparations must be provided before national justice systems and common barriers to do so (i.e., amnesties, immunities or statutes of limitations) must be removed. When national authorities are unable or unwilling to fulfill these obligations, the international community will step in to do so either by exercising universal jurisdiction over those crimes or by ensuring that those crimes may be prosecuted by the International Criminal Court (ICC) or other relevant international or internationalized criminal courts. The Centre for International Justice is an initiative developed by the International Secretariat and Amnesty International the Netherlands to support and strengthen Amnesty International’s efforts to promote an effective system of international justice to combat impunity. Through its presence in The Hague, the Centre acts as a liaison and representative for Amnesty International on international justice issues, particularly in relation to the work of the ICC. • Assisting the Head of Office with the representation of Amnesty International, including participation with the Head of Office in meetings, diplomatic briefings and other fora. • Assisting Head of Office with trial monitoring, for the purpose of monitoring judicial developments and highlighting emerging jurisprudential trends. • Support Head of Office with the preparation of a variety of documents, such as letters, presentations or briefs. • Assisting the Head of Office with internal communications, including with the International Secretariat. • Providing legal advice on policy-related issues pertaining to the ICC and other international justice institutions. • Conducting administrative tasks as necessary. Please send your application and CV to persona@amnesty.nl before 30 June 2013. The EMHRN is a network of more than 70 human rights organisations in 30 countries. Our mission is to promote and strengthen human rights and democratic reform within the framework of the Euro-Mediterranean relations, the European Neighbourhood Policy and other EU-Arab cooperation frameworks. The Network seeks to develop and strengthen partnerships between NGOs in the EuroMed region, disseminate human rights values and increase members’ capacity in this regard. The EMRHN organisational structure is built on a general assembly, an executive committee and a secretariat. The EMHRN secretariat is located in Copenhagen. It has offices in Brussels Paris, Tunis, and Amman. The Euro-Mediterranean Human Rights Network (EMHRN) invites candidates to apply for the newly established position of Mashrek and Turkey Advocacy Officer based in its office in Brussels. The Netherlands Institute of Human Rights (SIM) will be appointing three PhD researchers to engage in research on the so-called ‘receptor approach to human rights’. 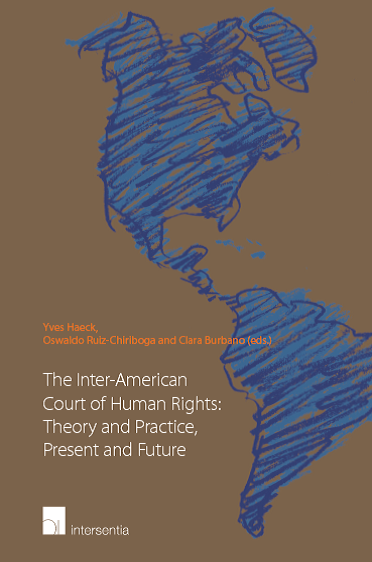 The receptor approach identifies the social institutions which are already in place in a given country to meet international human rights requirements, and it indicates how these institutions may be improved if they fall short of those requirements. By relying as much as possible on home-grown remedies, the receptor approach sets out to do justice to local culture and, at the same time, to enhance international human rights protection, especially in areas where such enhancement is most needed. The Netherlands Institute of Human Rights (SIM), the Utrecht branch of the Netherlands School of Human Rights Research, is a research institute of the School of Law. Through its research program on Human Rights in a World of Conflict and Diversity, SIM participates in the focus area Conflicts and Human Rights. SIM is the Utrecht member of the Netherlands School of Human Rights Research, a consortium of six Dutch universities and the T.M.C. 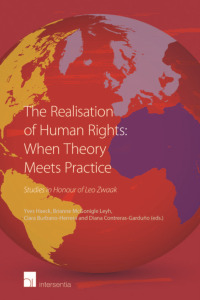 Asser Institute, which have pooled their resources in the area of human rights research. The School focuses in particular on multidisciplinary research on human rights in Asia and Africa, which is exemplified by the Receptor Project. The second GR:EEN – GEM PhD Summer School, organised by the Université Libre de Bruxelles (ULB) will be held in Carthage (Tunisia), in partnership with the Manouba University in Tunisia. The chosen topic is 'The Arab Spring, Domestic Democratic Transitions and the Evolving Euro-Mediterranean Framework'. The choice of the host university – Manouba University in Tunisia – will provide students with direct access to a political and intellectual environment in the midst of its own transition. The association of high level global research networks will provide a Summer School with the scope, resources and quality to be expected from a world class international doctoral training and research exercise. GR:EEN – as an integrated research programme involving 16 universities – and GEM – as an Erasmus Mundus global PhD School – will further enhance the diversity, profile and expertise of the participating researchers and academics.